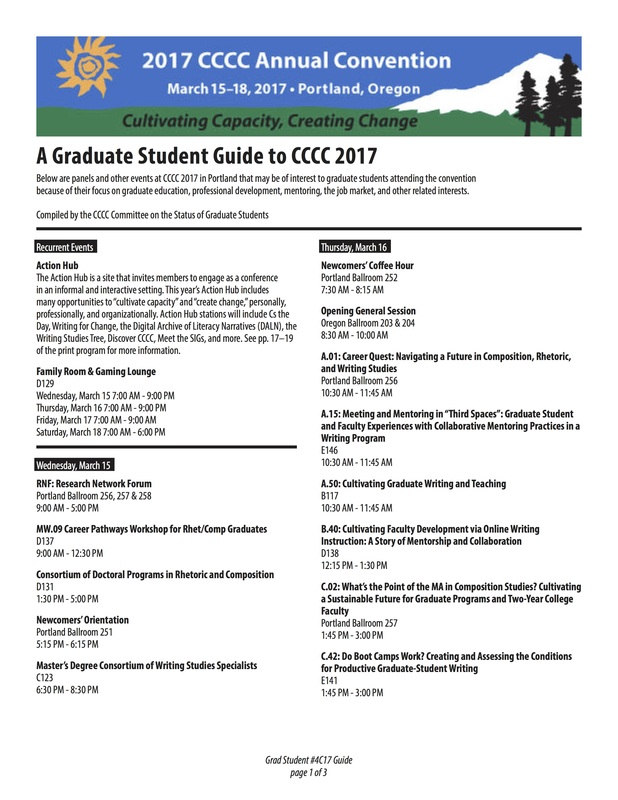 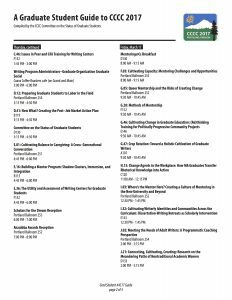 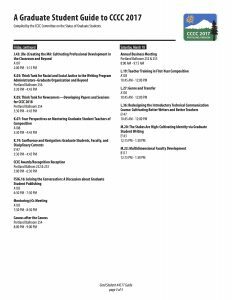 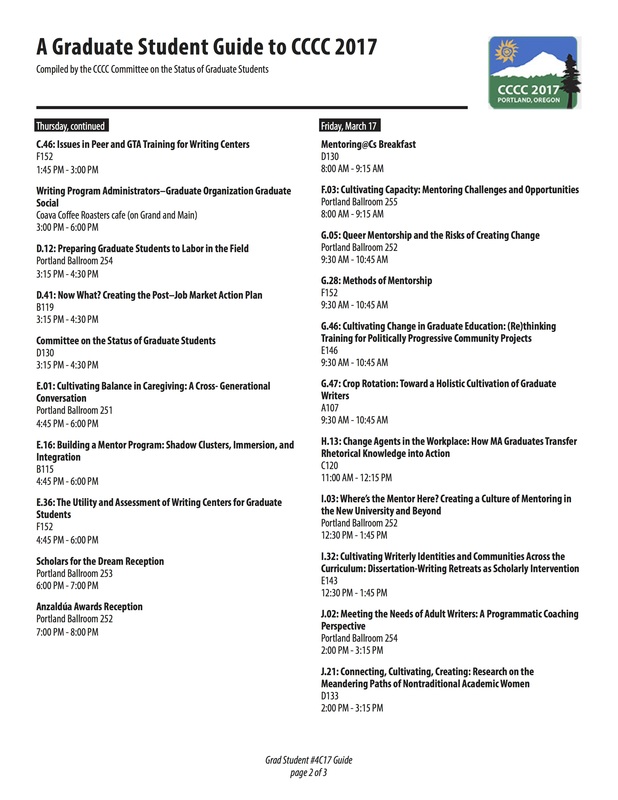 The CCCC Committee on the Status of Graduate Students has created a guide for CCCC 2017 that includes panels and events relevant to graduate students, focusing on panels and events on professional development, mentoring, graduate education, and other related issues. 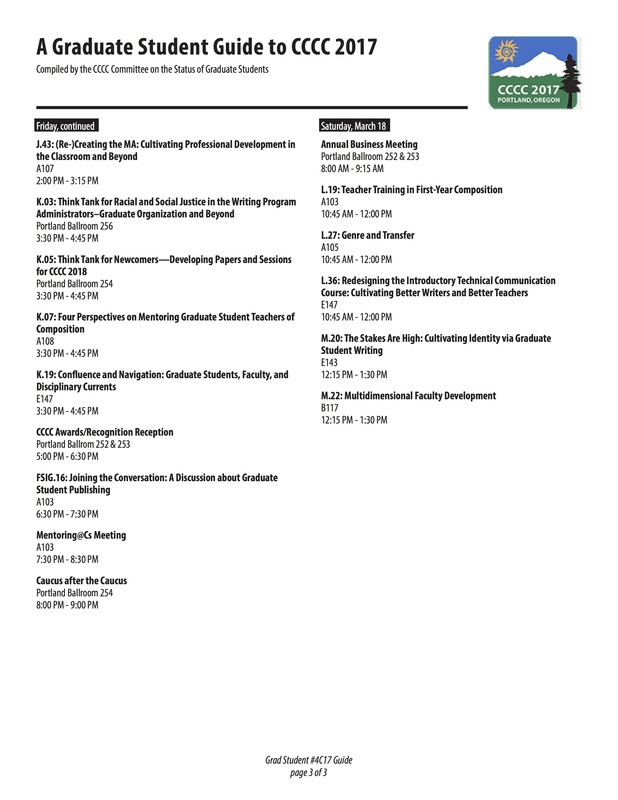 You can download the PDF or view the images below. 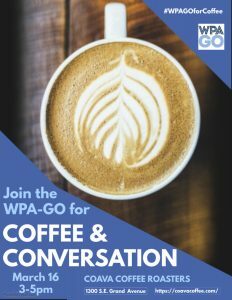 Additionally, WPA-GO is hosting a Coffee & Conversation meeting on Thursday, March 16, 3-5 PM at Coava Coffee. 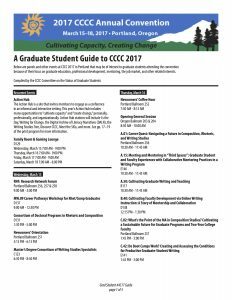 You can download the PDF (with links in it to Coava Coffee and a map) or see the flyer below.